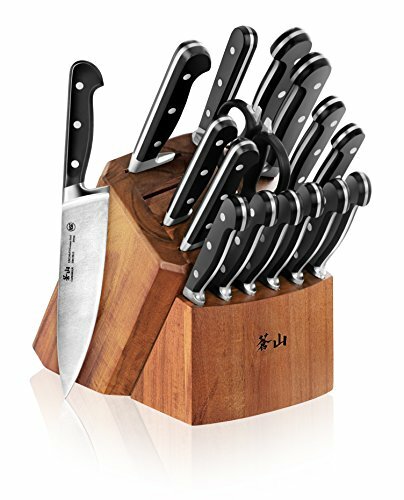 No matter what's on the menu, you'll have it made with this diverse 14-piece set of blades constructed with German Stainless Steel. This stunning and enduring cutlery collection gives all chefs the leading edge they crave in the kitchen. 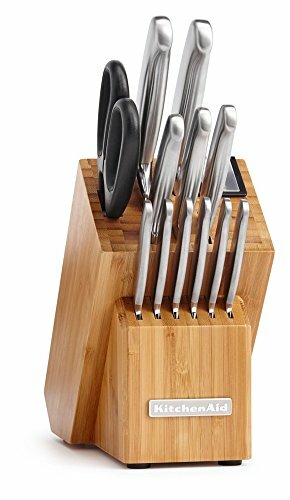 Plus, the well-organized Silver Sleek Knife Block with its integrated sharpener keeps everything needed within hands reach. 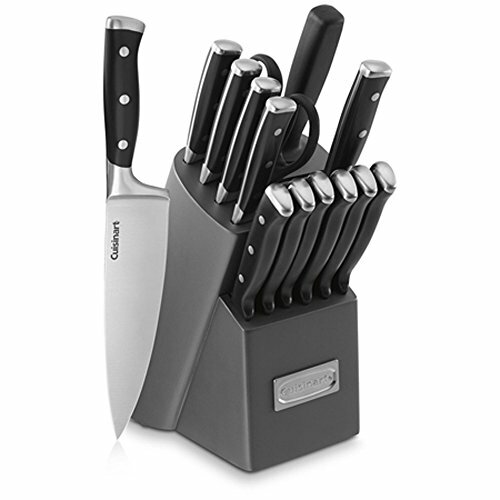 Prep work is easy with the Henckels International CLASSIC 16-pc Knife Block Set. Experience confidence with each cut thanks to the fine-edge precision blades that are honed for long-lasting sharpness. The 8" Chef's Knife, a kitchen workhorse, is ideal for chopping herbs and dicing onions while the 5" Serrated Utility Knife cleanly slices through tomatoes. Perfectly peel apples with the small 4" Paring Knife. With a seamless transition from blade to handle, the knives' fully forged construction provides balance as the traditional triple-rivet handles encourage tireless cutting. 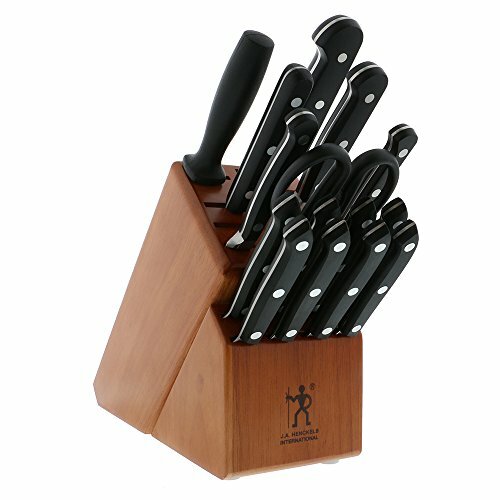 The handsome hardwood block handily keeps this useful knife collection within reach on your countertop. Henckels International makes essential kitchen tools every home chef needs. From steak knives to spatulas, every product boasts high quality at an exceptional value. Created in 1895 by Zwilling J.A. Henckels, this value-driven brand guarantees the same durability, design and ease of use for which the global company is known. Equip your kitchen with expertise with Henckels International. Wusthof 9608 The Classic series is a traditional cutlery design, created with outstanding German craftmanship, for both professionals and home-cooking enthusiasts. Classic features a triple-riveted, precision forged blade, made from Wusthof's special high-carbon stain resistant alloy. It is perfectly balanced for effortless performance. 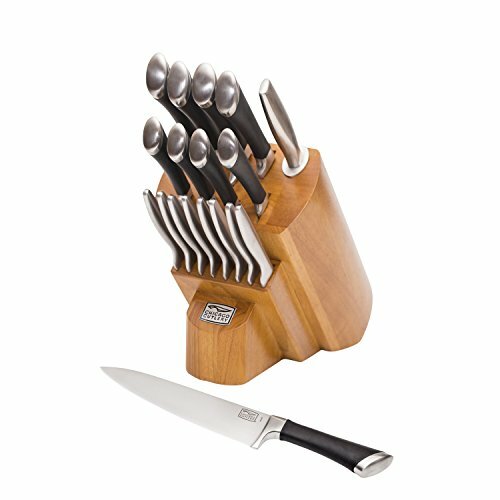 Features: -Gift Set Includes: 3 1/2" Paring Knife, 6" Utility Knife, 8" Cook's Knife.-Made in Germany. 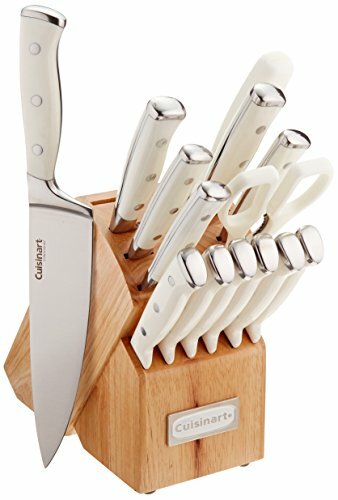 Introducing the Cuisinart Classic Forged Triple-Rivet 15-piece Block Set. 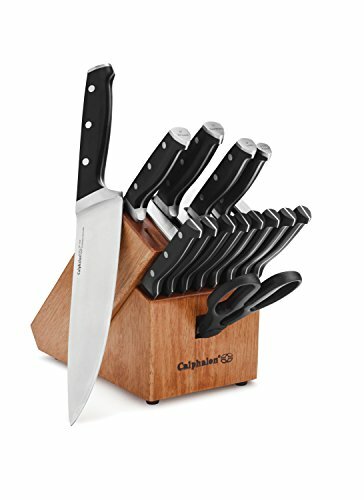 This set includes an 8" Chef Knife, 8" Bread Knife, 8" Slicing Knife, 5" Santoku Knife, 4.5" Utility Knife, 3.5" Paring Knife, 8" Sharpening Steel, All-Purpose Household Shears, Six 4.5" Steak Knives and Wood block with grey finish to hold them all. 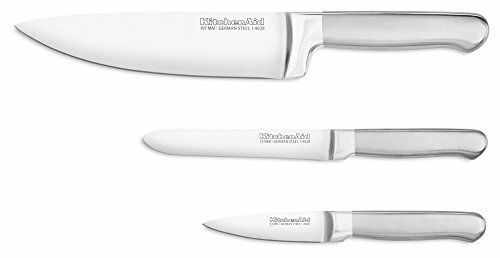 This Amazon Exclusive 2-Piece knife set features our Classic 8-inch chef's knife perfect for slicing, dicing and mincing vegetables or working with meat and poutry. The set includes our 4-inch paring knife which is the ideal size and shape for coring and paring fruit and created delicate garnishes. 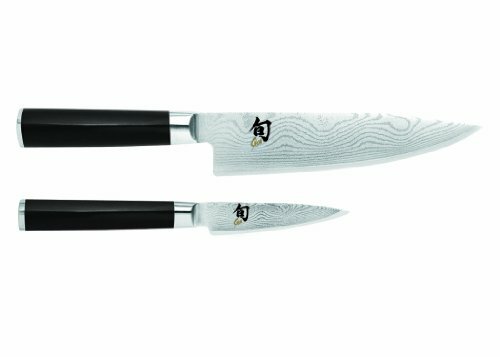 Our Classic line of knives have blades that feature razor-sharp 16 degree cutting angle on each side and is made of layered Damascus cladding and VG-10 "super steel" cutting core. The ebony Pakkawood handle has that sleek, sophisticated look that makes these knives feel more like art, than instrument, while providing a comfortable grip that it moisture resistant. Crafted in Seki City Japan, our Shun Classics are forged in the tradition of samurai sword making. These heirloom quality knives will be a prized treasure you'll want to pass down to family for generations. Copyright © Wholesalion.com 2019 - The Best Prices On Classic Forged Cutlery Set Online.